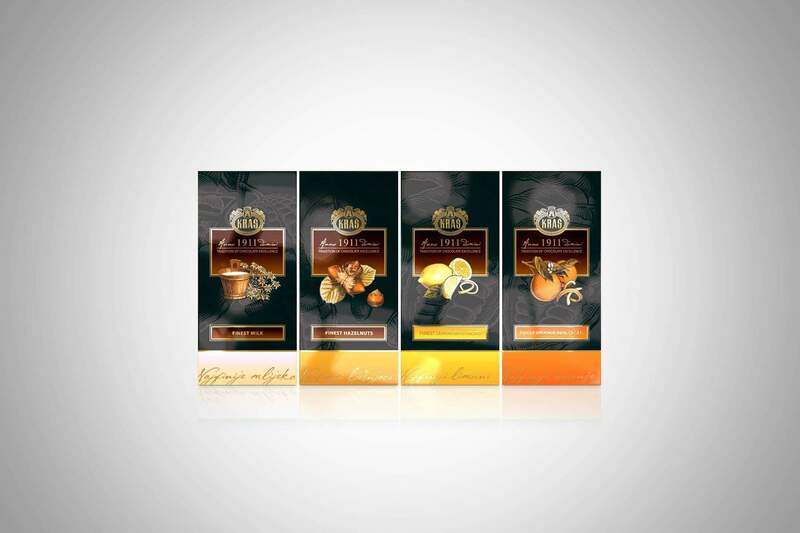 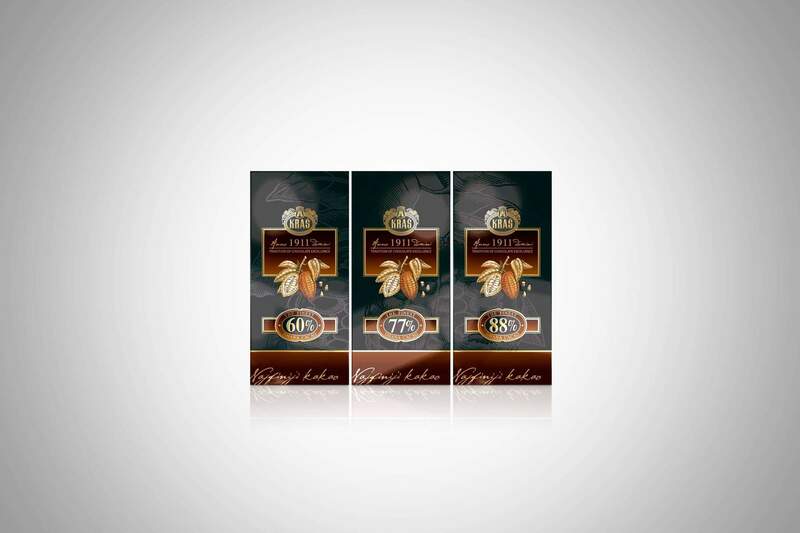 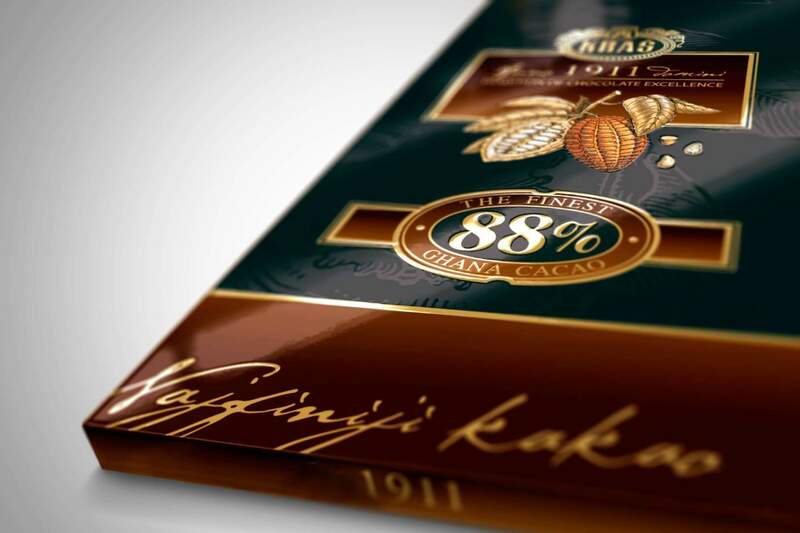 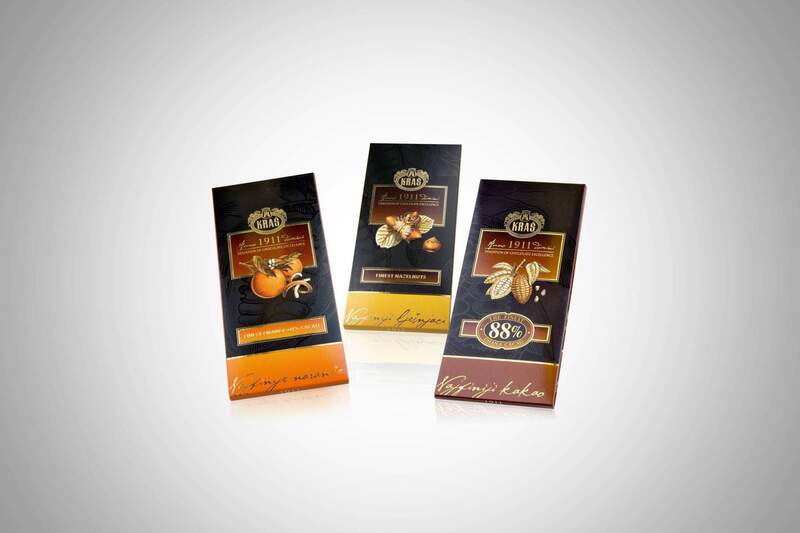 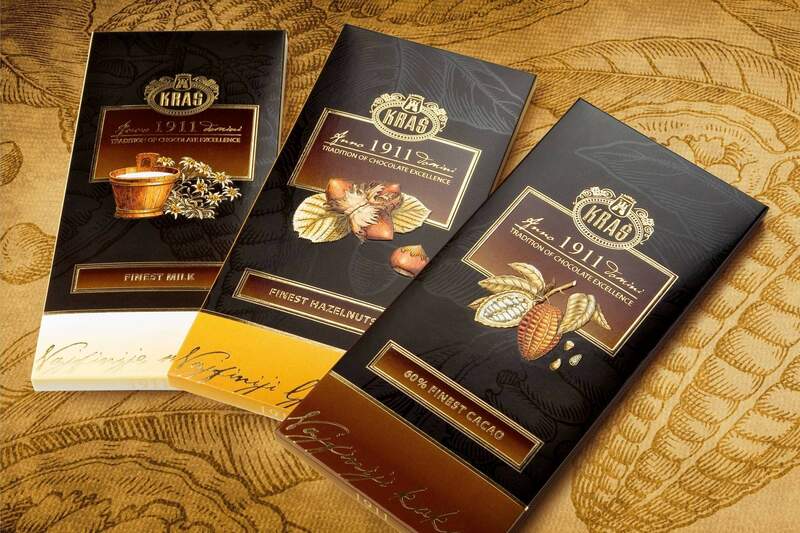 Coming up with name and creating packagings for Kraš’s premium range of chocolate. 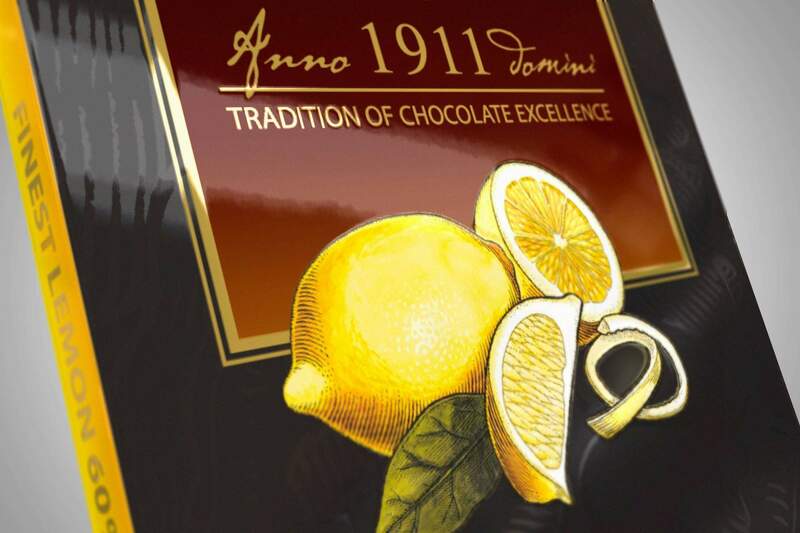 The new range had to be different from the Dorina brand, and the distinction was to be made through elegant design and a more luxurious packaging. 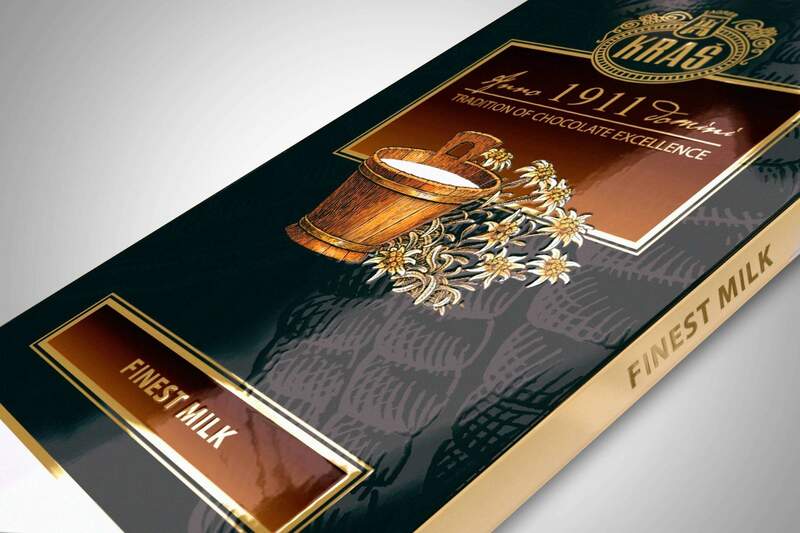 The name we came up with, Kraš 1911, corresponded with the hundred-year-old tradition that the company has in producing confectionary, and the top notch design conveyed the message about generations of masters and food technologists combining their know-how with high quality ingredients to advance the art of manufacturing chocolate sweets.